The companion volume to Latin American Bureaucracy State and the State Building Process (1780–1860) (2013), this book examines the organization and the consolidation of various groups – including judicial officers and tax agents, administrative clerks and soldiers, and merchants and money lenders – acting to create (or reacting to ruin, in the case of the collective resistance to taxes) newly emergent forms of social and political power. Chapters range across Latin America and the United States, Spain, Modern England, Russia, India and the Far-East, and the longue durée of Eurasian history (12th–19th centuries). They reveal that, beyond the general impact of kinship networks, different processes resulted in the consolidation of a new authority based on specialized knowledge and professionalization. The importance attached to the role played by these new servants by imperial, royal or feudal courts led to new forms of recruitment, new procedures of evaluation and the regularization of daily work. It also led to the establishment of new hierarchies, and to the reinforcement of the identity of these various groups who were aggregating to defend shared interests, develop alliances, create methods of intervention, and define fields of expertise. In this respect, the concept of “State” is revisited here as a diverse and locally varied process grounded on differing historical experiences, but which produced similar public officers, who saw themselves as powerful servants managing a part of the public authority. 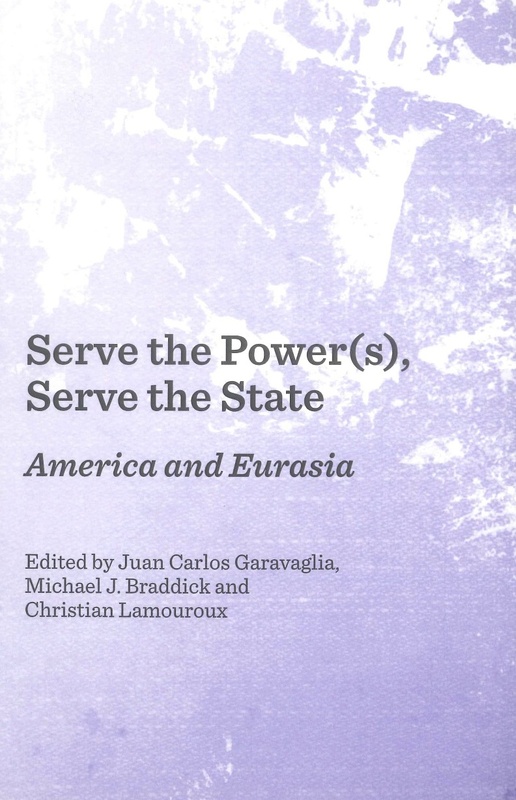 Juan Carlos Garavaglia, Michael J. Braddick and Christian Lamouroux (eds. 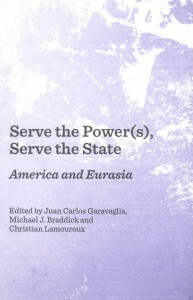 ), Serve the Power (s), Serve the State. 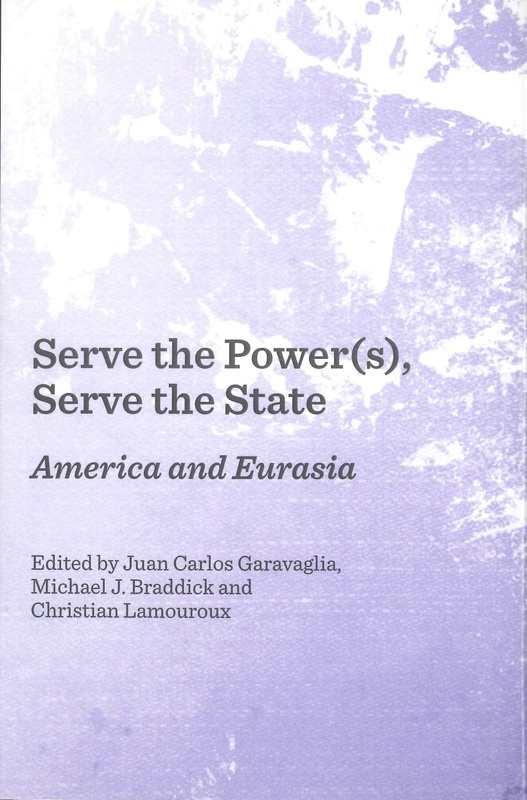 America and Eurasia, Cambridge Scholars Publishing, 2016.